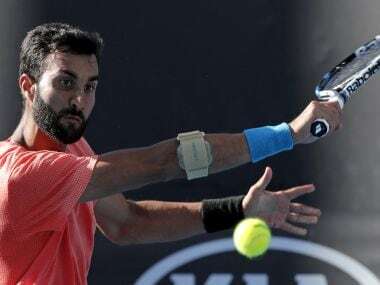 New Delhi: The All India Tennis Association (AITA) has nominated country's top singles player Yuki Bhambri and doubles expert Rohan Bopanna for the Arjuna award. AITA Secretary General Hironmoy Chatterjee confirmed that they have nominated the two players. "Yes, we have recommended them," said Chatterjee. "It's an honour to be nominated. It's acknowledgment of my hard work," said Yuki. Bopanna, who had won the French Open mixed doubles title last year with Canadian Gabriela Dabrowski, was nominated last year after the deadline had passed. Since only one athlete is presented the award from one discipline, most likely it will be Bopanna who will bag the award if a tennis player gets it this year. Winning a Grand Slam is equal to winning a World Championship as per the points system. "There are definitely many players who deserve it and Rohan is one of them. He has done well over the years," said Yuki. Shooters Shreyasi Singh, Ankur Mittal, Shahzar Rizvi and Pooja Ghatkar have also been recommended for the Arjuna award by the National Rifle Association of India (NRAI). Two days ago, Rizvi won a silver medal in 10m air pistol at the ISSF World Cup in Changwon, Korea. Earlier, he had clinched the gold medal in his maiden World Cup appearance in Guadalajara, Mexico. 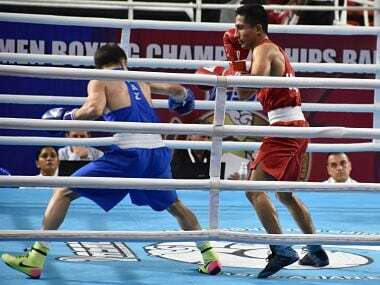 Meanwhile, World Championship bronze-medallist Gaurav Bidhuri and Asian silver-medallist Sonia Lather were also nominated by the Boxing Federation of India (BFI) for Arjuna awards. "Gaurav and Sonia have been nominated for the Arjuna, while women's chief coach Shiv Singh, and his assistants Bhaskar Bhatt and Sandhya Gurung have been nominated for the Dronacharya award," a top BFI official told PTI. Both Bidhuri and Sonia are ironically out of action right now for different reasons. 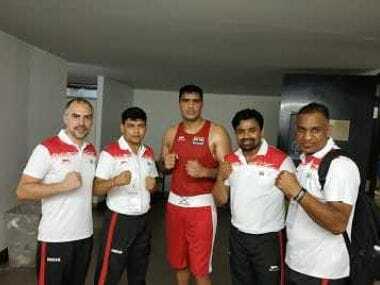 While Bidhuri, a bantamweight 56kg category boxer, is recovering from a nagging back problem that put him out of contention from the recent Commonwealth Games in Gold Coast, Sonia's weight division (57kg) was altogether dropped from the CWG final selection. Bidhuri rose to prominence quite unexpectedly last year when he claimed a bronze medal at the World Championship in Hamburg. The 24-year-old had gone in after getting a wildcard that had originally been offered to Bhutan. In perhaps the best performance of his career, he overcame his troubling back and some fine opponents to claim India's lone medal at the marquee biennial event. Sonia, on the other hand, stood out for her performance at the Asian Championships in Vietnam, claiming her second silver overall. 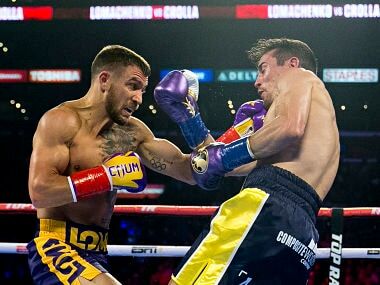 The 26-year-old was the only boxer, apart from the celebrated MC Mary Kom, to make the final of the continental showpiece. 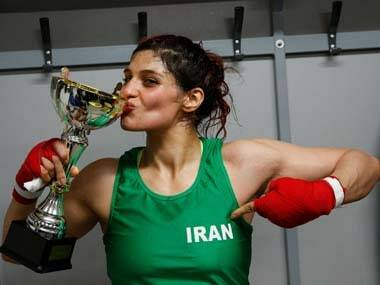 She is also a World Championships silver-medallist but was left disheartened when the federation decided to drop 57kg from the final selection for CWG to conform to the contingent size stipulated by the Indian Olympic Association. As for the nominated coaches, Shiv Singh took charge of the women's camp just before the Asian Championship in November last year. He has also been involved in the men's camp, besides coaching junior women boxers. Both Bhatt and Gurung have been a part of the national camp for over a year now and should the latter get lucky in her second nomination, it would be the first Dronacharya for woman boxing coach in the country. Former Commonwealth Games silver-medallist L Devendro Singh was the lone boxer to win the Arjuna award last year.